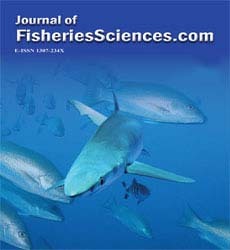 Journal of FisheriesSciences.com is an Open Access Journal that publishes peer-reviewed articles which cover all aspects of fisheries sciences, including fishing technology, fisheries management, sea foods, aquatic (both freshwater and marine) systems, aquaculture systems and health management, aquatic food resources from freshwater, brackish and marine environments and their boundaries, including the impact of human activities on these systems. As the specified areas inevitably impinge on and interrelate with each other. It is a multidisciplinary journal and authors are encouraged to emphasize the relevance of their own work on other disciplines. The journal of FisheriesSciences.com follows the single blind peer review process for validating the work of researchers/scholars/scientists. Review processing is performed by the editorial board members of the Journal or outside experts; at least one independent reviewer’s approval followed by editor approval is required for acceptance of any citable manuscript. Authors can track their progress through the system. Reviewers can download manuscripts and submit their opinions to the editor. Editors can manage the whole submission/review/revise/publish process. Fisheries Management includes regulating, protecting and conservation of fisheries. Fisheries management draws on fisheries science in order to find ways to protect fishery resources so sustainable exploitation is possible. It can be defined as "The integrated process of information gathering, analysis, planning, consultation, decision-making, allocation of resources and formulation and implementation, with enforcement as necessary, of regulations or rules which govern fisheries activities in order to ensure the continued productivity of the resources and the accomplishment of other fisheries objectives"
Marine Genomics, Aquatic Living Resources, Journal of Cetacean Research and Management, Botanica Marina, Helgoland Marine Research, Neotropical Ichthyology, Algae. The distinctive ecosystem present under water is reffered as aquatic system. An ecosystem is an entity formed by the interaction between living organisms and the physical environment. It is classified into two main categories: Terrestrial ecosystems and Aquatic ecosystems. Terrestrial ecosystems contain organisms that depend on physical environment on land masses of continents. Aquatic ecosystems are systems composed of living organisms and non-living elements interacting in a watery environment. African Journal of Marine Science, Journal of Applied Ichthyology, Annales de Limnologie, Cryptogamie, Algologie, Ciencias Marinas, Scientia Marina. Aquatic health management is a global concept for protection, conservation and control of aquatic animal diseases.The main objective is the Adoption and promotion of ecosystem health concept and Enhancing the understanding of marine and freshwater, structure, function, ecology and food web dynamics. Ecology of Freshwater Fish, Saline Systems, Journal of Great Lakes Research, Ichthyological Exploration of Freshwaters, Ocean and Coastal Management, Environmental Biology of Fishes, Maritime Studies. Technology involved in improving efficiency of the fishing is termed as fishing technology. Fishing techniques are methods for catching fish. The term may also be applied to methods for catching other aquatic animals such as molluscs (shellfish, squid, octopus) and edible marine invertebrates. Fishing techniques include hand gathering, spearfishing, netting, angling and trapping. Marine Genomics, Aquatic Living Resources, Journal of Cetacean Research and Management, Botanica Marina, Helgoland Marine Research, Neotropical Ichthyology. Freshwater fish spend some or the majority of their lives in new water, for example, waterways and lakes, with a saltiness of under 0.05%. Fresh water fisheries provides the public with information on issues related to freshwater fisheries management, including current fishing regulations, reports and publications, and fishing guides for popular freshwater fishing locations. Freshwater Science, Fisheries Management and Ecology, Journal of Fish Diseases, Aquatic Microbial Ecology, Ecology of Freshwater Fish, Saline Systems. Fisheries in more salinity waters than fresh water are reffered as Brackish water fisheries.Soil and water quality for brackishwater aquaculture is almost similar to freshwater aquaculture except water salinity. Salinity represents the quantity of dissolved salt in a given unit of water, and is usually expressed in g/kg of water (ppt). In brackishwater ponds salinity usually ranges between 0.5% and 30% depending on the distance from sea and seasonal variation due to monsoon precipitation. Aquacultural Engineering, Marine Biodiversity, Fisheries, California Cooperative Oceanic Fisheries, Investigations Reports, Aquaculture Research, Aquatic Ecology, Aquatic Biosystems, Aquatic Biology, Marine Biology Research. Commercial aquatic culture needs manufactured, specially formulated and nutrient feed to keep them health and productive. While all animals needs to eat and all farmed animals need to be fed, aquaculture represents the most efficient method by which to convert feed to edible protein. Research through the NOAA-USDA Alternative Feeds Initiative has accelerated progress toward reducing fishmeal and fish oil use in aquaculture feeds while maintaining the important human health benefits of seafood consumption.The remarkable progress in developing alternatives has reduced reliance on wild fish caught for this purpose. Fish Physiology and Biochemistry, Aquatic Botany, Limnologica, Marine Genomics, Aquatic Living Resources, Journal of Cetacean Research and Management, Botanica Marina, Helgoland Marine Research, Neotropical Ichthyology. Fisheries diseases should be taken into consideration as some diseases can be transmitted to humans while consumption and some can be quickly fatal. It disturbs aquatic health. Mycobacteriosis and nocardiosis, Anisakis nematodes, Crayfish handler’s disease (‘seal finger’) are the common types of Fish diseases. Fish medicine finds its application in Fisheries Management. It is the study of identifying and treating the fish diseases.Medications for use with freshwater or saltwater aquariums. Illnesses due to disease-causing organisms fall under three general categories: Bacterial infections, fungal infections, and external or internal parasites. Keep on hand a general-purpose remedy for each of these disease categories to help save valuable time in combating aquarium fish illness. Fish vaccines	Vaccination sheilds fish from diseases like all domestic animals. Helps in improving aquatic health. Fish vaccines can be delivered the same way we immunize warm-blooded animals. Fish can be immunized by immersion in vaccine for a short period of time (30 seconds to 2 minutes). They can be immunized by injection, intramuscularly or intraperitoneally, and orally by mixing vaccines with feed either by top dressing or by incorporating into feed as an ingredient. Ocean and Coastal Management, Environmental Biology of Fishes, Maritime Studies, Phycologia, Bulletin of Marine Science, European Journal of Phycology, Aquaculture Environment Interactions, Journal of Molluscan Studies. Fish pathology deals with the diseases and parasites that effects fish ordinary living. It studies fish defensive mechanism against diseases and its treatment.Areas of interest of pathology is regularly covered include host-pathogen relationships, studies of fish pathogens, pathophysiology, diagnostic methods, therapy, epidemiology, descriptions of new diseases. The analytical genetic technologies applicable to aquaculture include: DNA markers, genome mapping, microarrays, and sequencing will come under Fish genetics and fish genome.Humans and fishes share many developmental pathways, organ systems, and physiological mechanisms, making conclusions relevant to human biology. The respective advantages of zebrafish, medaka, Tetraodon, or Takifugu have been well exploited so far with bioinformatics analyses and molecular biology techniques.